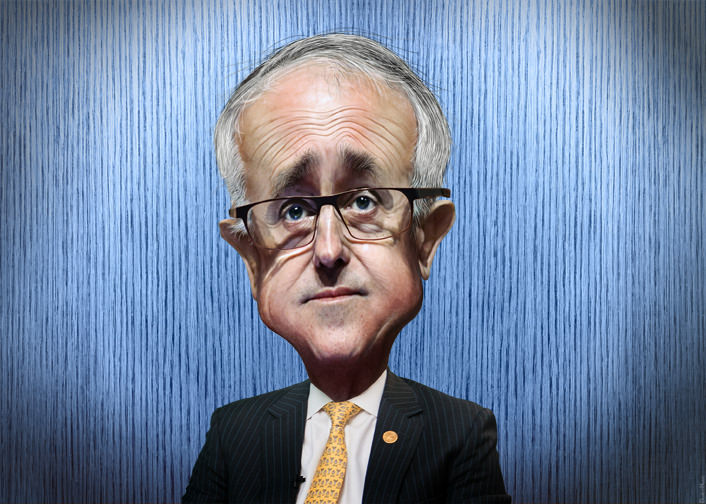 Malcolm Turnbull, former Australian Prime Minister. SIX LEADERS IN ELEVEN YEARS. Scott Morrison has become Australia’s sixth prime minister in just 11 years. This has been due to leaders who are too focused on their political machinations, says the public. It is unclear whether Mr. Morrison will support the moderates or conservatives, but he was chosen to avoid the leadership of Mr.Dutton, whom has taken a hard-line policy on immigration. Regardless of ideology, Australians are seeking stability, there has not been a Prime Minister to complete their term in a decade, which has led to a lack of policy execution. Perhaps Mr. Morrison can change this. A BULL MARKET. The S&P 500 is nearing 3000 points, an increase of over four times since the Great Recession. While some believe the shares are overheated, especially since the rapid rise during President Trump’s presidency, Goldman Sachs still sees a bubble as unlikely. It will always be difficult to predict the stock market, but for now, most do not see an end to this bull market in sight. WEST AFRICA’S DRUG CRISIS. While North America has been ravaged by an opioid crisis, it is Africa were 90% of all the pharmaceutical opioids seized from last year. While fentanyl and heroin are not found in Africa, tramadol and codeine are and have been used by terrorist organizations like Boko Haram to keep fighting. Worse, is that most countries have been slow to react to the crisis. Making it impossible to help their own citizens and cut off supply lines. Like many issues, North America is well-off compared to the problems in Africa. JAIL TIME. Both Paul Manafort and Michael Cohen were prosecuted this week on counts including: tax evasion, bank fraud, tax fraud, and campaign-finance violations. Paul Manafort was not convicted on all charges, but there is another trial in September that could lengthen his sentencing. Michael Cohen will likely face jail time as well, but more importantly was the implications of his misdeeds. During his plea, he admitted that he “participated in the conduct for the purpose of influencing the election” and the payments were “in coordination with and at the direction of a candidate for federal office”. This is undoubted implying President Donald Trump, and could be the most serious threat to his presidency yet. FAKE NEWS IN AFRICA. President Donald Trump has appealed to his right-wing base, emboldening a white supremacist conspiracy theory about the seizing of land and murdering of white farmers in South Africa. In truth, killings of farmers, while difficult to calculate appears to be at a 20 year low. Down to 47 in 2017-2018 compared to 153 in 1998. There is truth in the seizing of land, but the allowance of seizure without full compensation has been in the constitution since 90s. The new president, Mr. Ramaphosa has proposed an alteration to the constitution to allow seizures to take place without any compensation. This is certainly a controversial issue, but far from Mr. Trump’s claims. Rather, it is rooted out of South Africa’s continuing racial divide that has not healed since the end of Apartheid. A REVERSAL OF STRATEGY. One of President Trump’s promises was to ‘drain the swamp’, seeing too much bureaucratic nonsense. Now under Secretary of State Pompeo, the swamp is rising. With serious national security concerns in North Korea, Iran, and Syria, Pompeo has created special envoys to determine better policy. These special envoys are usually common practice to ensure that policy is properly created for major concerns to the United States. Yet, under Trump he had scrapped them all. With Pompeo in a hurry to get results, especially in North Korea, he has reinstated them. While these should help the administration form more coherent policy, on countries like North Korea it may not be enough. POLAND OBJECTS. This week Poland’s embassy criticized Fox News for publishing a headline saying “Polish Death Camp” in it. This is implying that World War Two labour camps were run by Poland’s government, not the Nazi’s as the occupied Poland. This has historically been a source of tension for the Polish government, but in recent years has been much more politicized. This year, Poland’s president signed a law making it a crime to accuse Poland or “the Polish nation” of complicity in the Holocaust, even making it illegal to use the phrase. The idea that all Poles were completely innocent during the war has drawn much criticism, leading their president to remove criminal penalties from the law. Further, many countries have condemned this as an attack on free speech and an attempt to condemn foreign organizations for use of the terminology.